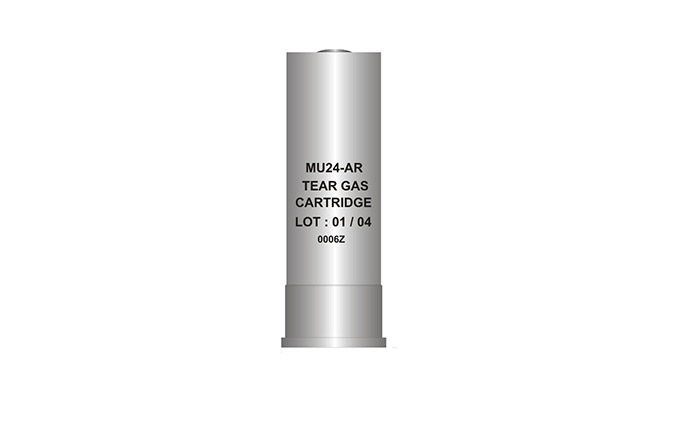 MU24 BK USE	:This cartridge can be used in the SLC Rifle (SAR-1/ SAR-2). 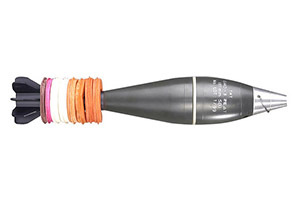 CARTRIDGE ÃƒÂ¢Ã¢â€šÂ¬Ã‚Â¢	Weight :160 r. ÃƒÂ¢Ã¢â€šÂ¬Ã‚Â¢	Case	: Plastic ÃƒÂ¢Ã¢â€šÂ¬Ã‚Â¢	Charge : Rubber Ball CHARACTERISTICS ÃƒÂ¢Ã¢â€šÂ¬Ã‚Â¢	Efektif range	: Min. 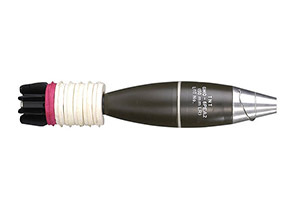 50 m. ÃƒÂ¢Ã¢â€šÂ¬Ã‚Â¢	Penetration at 20 m	: Max. 20 mm (Backing material soft wax). 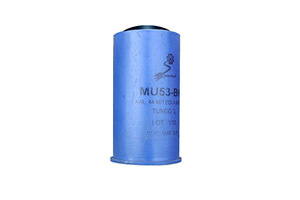 MU24 AR USE : This cartridge can be used in the SLC Rifle (SAR-1/SAR-2) CARTRIDGE - Weight : 110g - Case : Plastic - Charge : Pyrotechnic Composition (CS/CN) cHARACTRISTICS - Delay Time : 3 - 5 second - Emission	: Min. 5 m. - Sound level at 30m : Min. 90 dB. 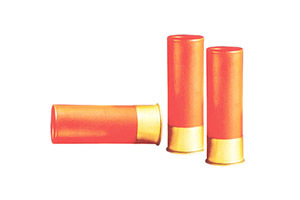 - Range at 20-30 : Min 75 m.
MU24 AR A1 USE	: this cartridge can be used in the SLC riflie ( SAR-1/SAR-2) CARTRIDGE -	Length	: 123 mm -	Diameter : 42.40 mm -	Rim thickness : 3.6 mm -	Sign band : red colour. -	Weight : 110 g. -	Case : Plastic. -	Charge	: pyrotechnic comp. ( CS Smoke) CHARACTERISTICS -	Emission time	: min. 20 second -	Range at 20-30 :min. 75 m. -	This chartridge can be reflection, flat and elevation shoot (All position shoot) -	Contamination effect : Irritation on skin and eye.